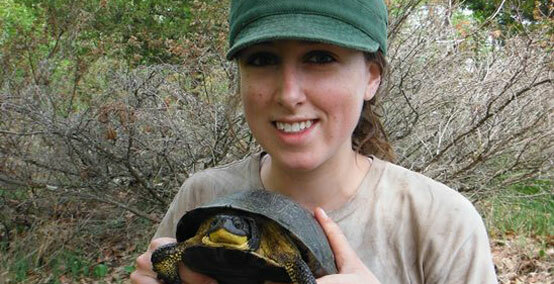 Last week, Ontario Nature staff and volunteers were turtle hunting in Lost Bay Nature Reserve in eastern Ontario. 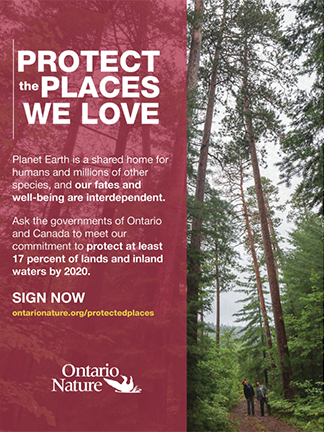 Established in 2000 with a generous private land donation, the reserve protects 44 hectares of provincially significant wetlands and mature forest around Lake Gananoque. John Urquhart, conservation science manager, and Megan Anevich, nature reserves intern, who led the charge, are no strangers to turtle hunting. Here, John tells the story of Megan’s first successful water capture. Megan and I were sneaking through a wetland that varied from waist to chest deep. At some point, we split up, and Megan – on her own – caught a Blanding’s turtle underwater, which is much harder than capturing a turtle on land. Unfortunately, the turtle slipped out of her hands as she tried to capture another one nearby. Not too long after, we snuck up on a Blanding’s basking on a clump of vegetation. Despite our sleuth-like ways, the turtle noticed us and plunged into the water while we were still quite far away. Megan and I were undeterred and continued to creep towards it. This time, luck was on our side. The turtle popped her head up right next to the vegetation on which she had been basking. We crept a little closer. She ducked under water again, but we were close enough to see the tell-tale bubbles that indicate when a turtle is swimming. We could not see the turtle, only the bubbles, through the muddy water. Megan wisely began reaching under water into the roots of the vegetation. All of a sudden, Megan squealed and dove headfirst into the swamp. A moment later she surfaced with a look of joy on her face and an adult female Blanding’s turtle in her hands. We brought this one straight to shore and entered her information into the database for our long-term population monitoring study. Curious about this year’s turtle hunt? 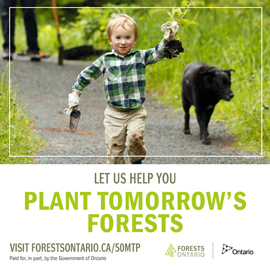 Stay tuned for personal accounts by Ontario Nature staff.